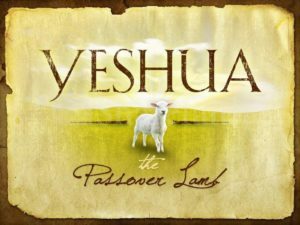 First Baptist Church - Los Lunas, NM > Read > News > Messianic Passover Seder 2019! The Seder is not only a time for us to come together as a church family to learn about and appreciate the elements of a traditional Jewish Seder, it is also a time to look forward to Easter and our Messiah, Jesus Christ. We have pulled our resources to create our own unique celebration that fulfills the long-established rituals of the Seder and shows the connections these rituals have to Yeshua. The Passover Seder is a ritual performed by Jews, in the presence of family and friends, that involves the retelling of the story in the book of Exodus where the Israelites were liberated from slavery in Egypt. Kari comes from Eastern European Jewish decent and was raised as a Jew, culturally and religiously. She became a Messianic Jew three years ago and thinks it is very important for Jews and Christians to support one another. The Passover Seder is a beautiful way to educate people on that connection and build understanding between the two faiths. Cindi inherited a love for the Jewish people that was passed down through her family for generations. She believes that Israel should be a Jewish state and is very active in Christians United for Israel. Cindi is passionate about keeping traditions alive for the purpose of educating our children, and the Passover Seder exemplifies that ideal. 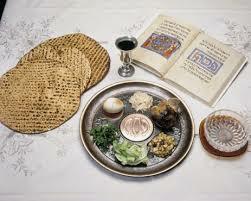 This will be the fourth Seder Kari and Cindi have led at First Baptist Los Lunas.